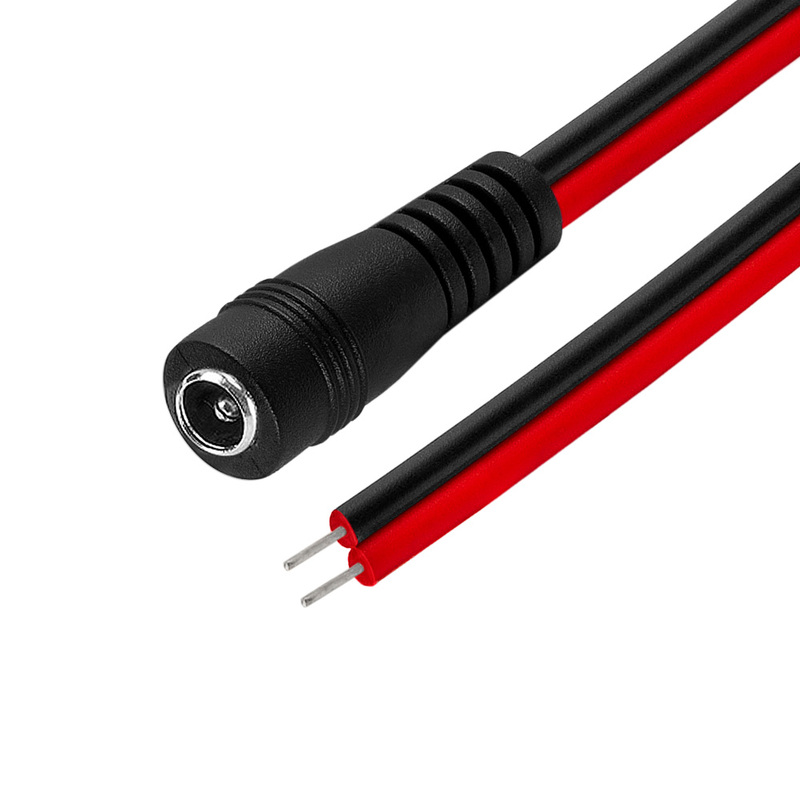 DC power pigtail is used to connect your security cameras to your power distribution system or power adapter. It features a male coaxial power plug on one end to two bare wires on the other. 8 inch connector for CCTV camera power.